A tightly closing, premium quality clamshell box with round about double walled construction. Made from solid board material, approx. 1.5 - 5.0 mm thickness. Smooth exterior surface, no visible flap slots. 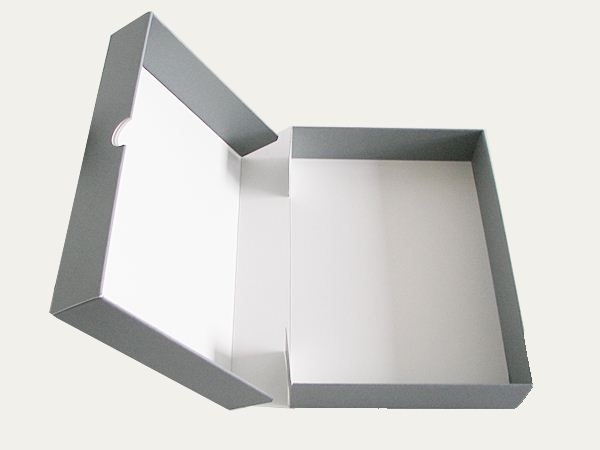 A newly set up production method enables us to manufacture custom-made boxes one unit onwards.